A letter (see below) to the UK prime minister signed by TJN and other global justice campaign organisations, calls on David Cameron to stop a Canadian mining company using a Jersey ‘subsidiary’ to sue Romania for halting toxic gold mine, and warns that such cases will balloon under the proposed TransAtlantic Trade and Investment Partnership. A coalition of environmental and human rights organisations from the UK, Romania and Canada have called on prime minister David Cameron to intervene in an international case which is pitting a Canadian mining company against the government of Romania. The group argues that under new trade agreements like TTIP (the Transatlantic Trade and Investment Partnership) such cases will radically expand, targeting the British and other European governments. 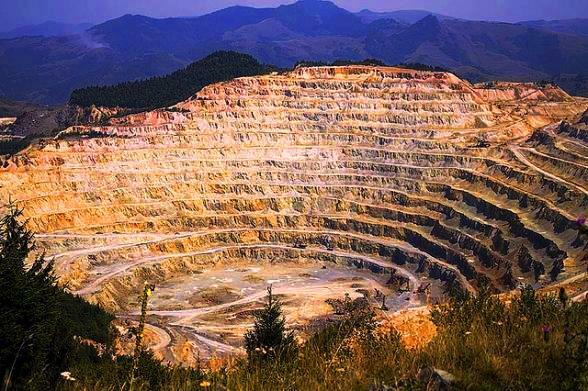 Mining company Gabriel Resources has filed a request for arbitration at the World Bank after a Romanian court annulled a critical environmental document that was required for the Rosia Montana mine to go-ahead in the Transylvania region of Romania. Part of the request uses a Jersey-listed subsidiary company which campaigners believe is a shell company. Campaigners believe the company is doing this to give it access to a bilateral trade deal between the UK and Romania, under which such corporate cases can be brought. In a previous interview, the CEO of Gabriel Resources has suggested that they would seek compensation of up to $4 billion if the mine were not to go ahead, despite having spent only a fraction of this amount developing its plans for the mine. According to WHO statistics, Romania’s entire spending on public health for a year is under $8 billion. Signatories of the letter, who oppose the use of ISDS in trade agreements, call on Cameron to investigate and call on the court to throw out the case based on the fact that Gabriel doesn’t represent a real British company. “It’s bad enough that Gabriel Resource’s ‘right to profit’ is being put forward as more important than the government of Romania’s right to act for the benefit of its citizens. It’s even worse that a Canadian mining company is able to do this by exploiting a trade agreement between the UK and Romania based on a shell company it owns in Jersey. We are deeply concerned that a Canadian mining company called Gabriel Resources has filed a claim against the government of Romania at the International Centre for the Settlement of Investment Disputes (ICSID). We believe the company has accused Romania of unfair treatment with regard to its inability to approve Europe’s largest open pit cyanide mine. The project has been faced since its beginning in early 2000 with massive opposition on social, environmental, economic and cultural grounds. These include cyanide tailing waste, the blasting away of four mountains, and relocation of thousands of people. The locals of Rosia Montana, along with numerous organisations united in the Save Rosia Montana campaign, challenged the legality of key permits, having them permanently annulled by national courts. In 2013 Gabriel Resources attempted to pressure Romania’s government to approve the mine by passing a law through parliament to declare their mine of overriding national interest. This triggered national and international protests which remain to date the biggest social mobilisation in Romania since the fall of communism in 1989. Many Romanian institutions including the Romanian Geological Institute and Romanian Academy have spoken against the project and its methods. Furthermore, Investigative journalism indicates a number of alleged illegalities associated with this corporation’s actions in winning the contract for this project. The company has been under investigation in Romania in connection with tax evasion and money laundering. Two parts of the same corporation have brought this arbitration case, one called Gabriel Resources (Jersey), whose involvement enables the company to utilise the UK-Romania Bilateral Investment Treaty. We are concerned that Gabriel Resources (Jersey) does not represent a significant or genuine business interest in the UK, and therefore that any claim launched by that entity should be discounted. (b) present evidence to ICSID that, in your opinion, they should not be covered by the provisions of the UK-Romania agreement. We look forward to hearing from you further about this matter. Great initiative! One mention: Benjamin Steinmetz it’s the owner of Gabriel Resources.